A123 Systems is targeting the emerging stop-start/microhybrid market with a 12V Li-ion battery solution based on its automotive class lithium ion AMP20 20 Ah prismatic pouch cells. The system comes equipped with battery management electronics for cell balancing and protection. n order to recognize the hottest technology companies in Silicon Valley, Lead411 (http://www.lead411.com) is proud to announce the release of the ‘Hottest Companies in Silicon” awards for 2011. (RTTNews) – Bombardier Inc.’s (BBD_A.TO: News ,BBD_B.TO: News ) transport segment, Bombardier Transportation Thursday said that it received an order at about A$269 million or US$278 million from the Government of South Australia, for the supply and maintenance of 22 Bombardier 25kV 3 car electric trains. under the UK Climate Change Act. 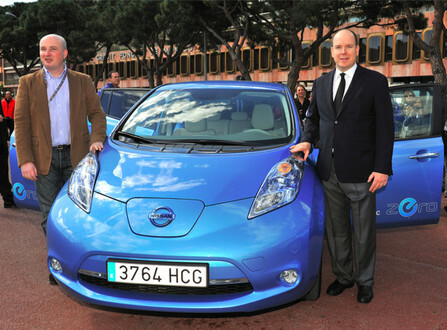 During the EVER Monaco expo Nissan announced official pricing for the LEAF electric car in France, and it starts at EUR 30,990, with 5 grand incentive from the French government. How about that Morgan Stanley mega report on Tesla Motors (TSLA), the one that has pushed the shares up and up by $4.56, or 19%, today to $28.27? In raising the firm’s rating on Tesla from Equal Weight to Overweight this morning, you’ve got to hand it to Adam Jonas and his team for sheer chutzpah: the price target is, well, a bit above the current price, at $70. More than 30 million Light Electric Vehicles to sell in 2011. Major profit maker, worldwide. 2011 Report just released. NEW YORK (Dow Jones)–Tesla Motors Inc.’s (TSLA) shares surged Thursday on the heels of a presidential endorsement for clean-fuel vehicles and a bullish call from Wall Street analysts. Ford, General Motors, Chrysler and Tesla? Carmarthenshire County Council has become the first council in Wales to take delivery of their electric Mitsubishi i-MiEV models. bout what the chargers mean to the community. Select your location to learn more about incentives for the purchase and ownership of an electric car. Common EV incentives include tax credits, rebates, free parking, and unrestricted access to high occupancy commuter lanes on major roadways. With the price of gas around $3.49 a gallon, Mike Legatt does not worry about how much it will cost him to fill up. That is because Legatt bought the new, electric plug-in Chevy Volt. “It’s certainly a liberating experience,” said Legatt. When it comes to charging his Volt, he does not have to go far. Legatt had a home charging station installed in his garage. It is somewhat common sense to suggest that the traditional gasoline-powered car will run out of, well, gasoline, at some point in time. There is the hope that alternative fuel vehicles, possibly electric vehicles will be able to fill the role of today’s gasoline-powered car in a much more environmentally-friendly role. It has largely been a guess when that will be. TO reduce our vast appetite for oil, the government and auto industry are working together to encourage car buyers to think electric when they go car shopping. Better Place, a global electric vehicle infrastructure provider, has partnered with Frech automaker Renault to bring the Fluence Z.E. to Denmark. 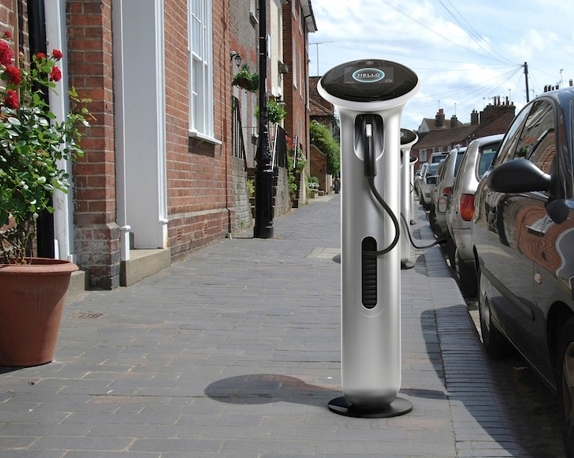 Together, the companies are calling the new product the first “unlimited mileage” electric car. Consumers who order a Fluence Z.E. can sign up for Better Place’s eMobility package that gives drivers a switchable-battery program. USA: Did Obama administration play favorites with energy loans? President Obama says the federal government will buy only alternative fuel, hybrid and electric vehicles for its fleets by 2015 to set an example for the country. Washington (CNN) — President Barack Obama outlined a plan Wednesday to cut America’s imports of foreign oil by a third by 2025 — a response to growing global energy demands and instability overseas. The president’s proposal relies primarily on increased domestic production, conservation, and a shift to biofuels and natural gas.